The younger members of the Gunfleet Sailing Club met last Sunday 16 December when they held their AGM. Cadet Commodore Matt Downing welcomed all those present and looked back at an exciting year with a very successful Cadet Week, the popular Sailing On Saturdays, and the racing and cruising that so many had taken part in. He particularly recalled the Long Distance Race when the wind suddenly picked-up to 33 mph and caught both senior and younger competitors out, but how well the Cadets had coped in such atrocious conditions. On Sunday 16 December at 2:00 p.m. the Club is holding its Cadet and Otter Annual General Meeting in the Clubhouse. This is when you all meet up and decide who should be on your Cadet Committee, as well as finding out what's being proposed for 2013, and a chance to say about the sort of things you would like to see down the Gunfleet next year. Also it is an opportunity to find out about the new Cadet Steering Group - formed to provide even more fun to you all....and also say hello to your new Cadet Officer. Monday: Sunshine and a force three to four southerly wind meant a BRILL start to the Cadet Week. First we had a race – well three actually; one for the Toppers (11 of them), another for the Topazes (6 of them), and a third for the Menagerie fleet (405, Tres, Laser, Witch). After some great battles (and a few forgotten bungs!!) it was Zak Kurtulus that took gold in the Toppers, Charlie and Harry Spence got gold in the Topazes, and Conor and Finlay Williams achieved gold in the Menagerie Fleet in their Hobie 405. Yes it will soon be here....the biggest and best Cadet Week yet. Have you put your booking form in yet? Places are limited so hurry. Keep coming back to this item for more info. Once again the Club’s Cadets came to the fore when a number of them, out racing in the Jim Suckling Long Distance Trophy, were caught in winds gusting 33 miles per hour (that’s the very top of a Force 7!!). 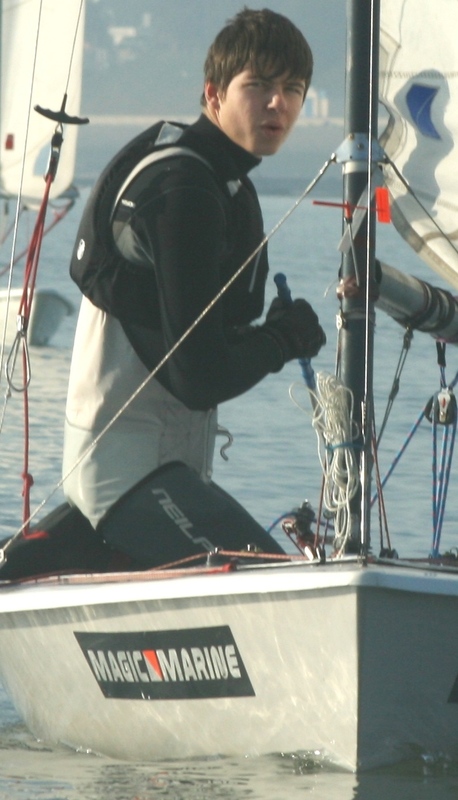 Congratulations goes to Charlie Spence who won the Cadet Single Helm Race on Sunday 10 June. 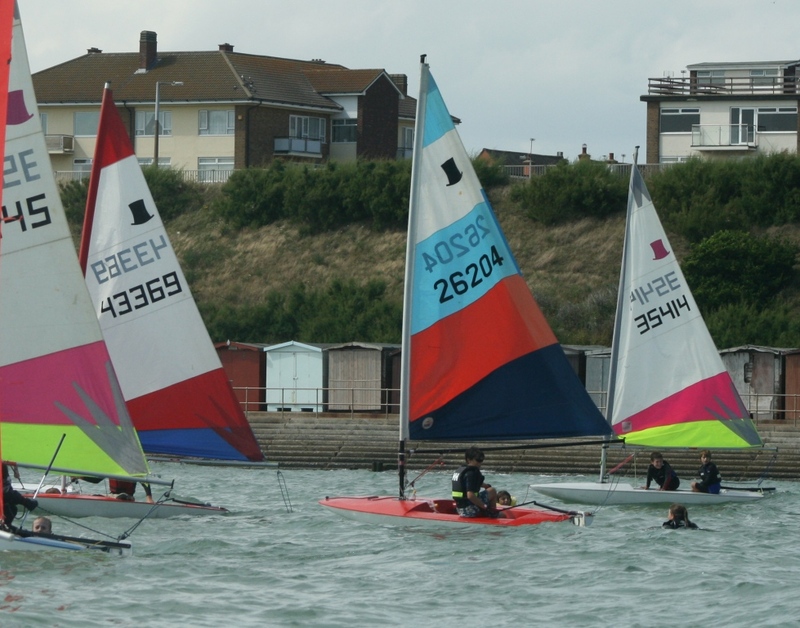 Six boats took part but unfortunately, right at the start, Cadet Vice Commodore Robert Gutteridge sailing a borrowed Laser had gear failure and was forced to retire. Cadet Sailing Secretary Emily Cossens, also sailing a Laser, didn't get a chance to really test her new XD pack as winds were a light force two onshore but she sailed a clean course. After School Sailing kicks off very soon – in fact on Wednesday 30 May, and then goes on for the next 9 weeks (by which time it will be the Summer Holidays HURRRRRRAH). You will be able to get afloat at 6:00 p.m. each Wednesday, Rescue Boat 2 will be on the water, and those that want can take part in the Club racing at 7:30 p.m. The rest can carry on sailing about until about 8:00 p.m. when we put the boats to bed and there will then be hot dogs and burgers up for grabs. The start of the season brought the Cadets and Otters down to the Club in force last weekend when on Saturday 31 March several of them celebrated in style at the Fitting-Out Supper. Amongst those present were Robert, Michael, Emily, William, Charlie, George, Conor, Finlay, Aaron, Callum, Darcie, Eleanor, Bethany, Ellen, Sophie, Ben, Scarlet, Esme, Korben, Mac and Maddy – if you couldn’t make it you missed a great time (who ate more than two jumbo sausages, and how much chocolate gateau can one Cadet eat??). Eighteen Cadets and Otters met on a chilly but bright Sunday afternoon on 25th March, briefly leaving the thoughts of school holidays and Easter behind; gathering together to try their hand at tying knots, whilst the younger ones were busy colouring Easter scenes or making Easter nests. This Sunday 25 March it's a Cadet and Otter Social down the Gunfleet, starting at 2:00 p.m. There will be some sailing tips, exciting sailing on film, and some knots to have a go at - for those keen to get afloat the following week; plus for the younger Otters a chance to make Easter Cards and some tasty Easter treats. So make sure you don't miss-out on a lot of fun down the Club this Sunday. The second monthly Cadet Social on 19 February found the unobstructed sunshine pouring through the Clubhouse windows and the land sheltering the calm seas from the chilling offshore winds. Waiting on the Clubhouse walls for the Cadets and Otters to answer were picture clues, as well as pictures of cartoon characters to be identified. Some help was needed from parents, particularly for the older cartoons like the “Fintstones”. The Gunfleet Cadet Committee met on Wednesday 15 February and has started to plan some new and exciting things for everyone this year. Cadet Commodore Matt Downing said "it was our first meeting and everyone came with at least one new idea. It really looks as though 2012 is going to be very busy for all us Cadets and Otters, both on and off the water". HEY - we got some great fun going on down at Gunfleet on Sunday 19 February and Sunday 25 March when the Cadet and Otter Socials take offffff. It all starts at 2:00 p.m. and ends at 4:00 p.m. on both days but it's the bit inbetween you don't want to miss. If you love sailing, and want a bit of fun.....then come down and make sure you don't miss out on the Cadet and Otter Socials; they're COOL. 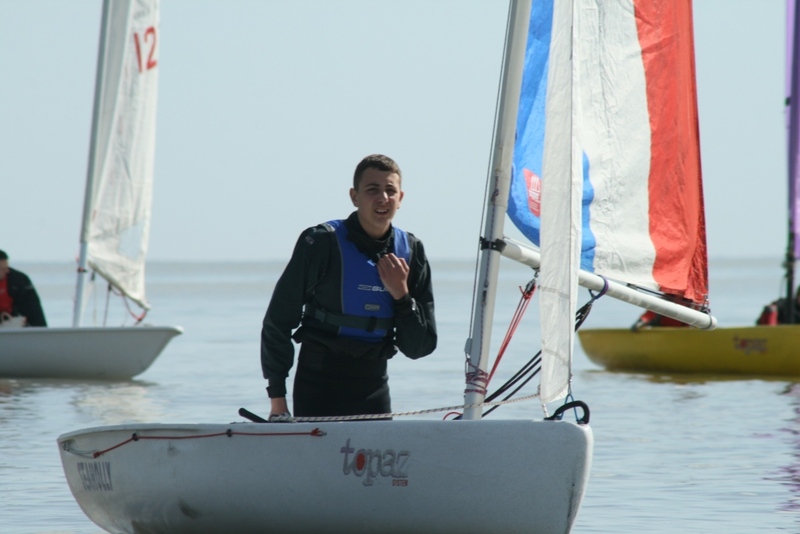 Matt Downing has been named as the new Cadet Commodore of Gunfleet Sailing Club. He was elected at the Cadets and Otters’ annual general meeting, of which there are more than 70 young members, on Sunday 15 January. The first piece of business was the election of officers for the Cadet Committee, starting with Downing’s appointment. Robert Gutteridge is the new Vice Commodore and Aaron Baker the Rear Commodore, while the new Sailing Secretary is Emily Cossens, the Social Secretary Anna Challis and the Compound Officer Tom Fadden.